Roamer departed from a time-honoured tradition of journalism on Friday’s page which recommends caution with superlatives! It’s dangerous to describe anything as first or last (or longest or largest) because someone will almost certainly find an example that’s earlier or later (or longer or bigger)! I mentioned Dame Angela Lansbury’s role as Jessica Fletcher in Murder, She Wrote which I described it as “the longest-running detective drama series in TV history”. With the whole world seemingly obsessed at the moment with the final series of Game of Thrones, the list of TV’s longest-running dramas that the reader referred me to is like a breath of fresh air! Ranked by duration, the list makes for some very nostalgic reading! Roamer is probably one of very few on planet earth who has never seen Game of Thrones, nor have I ever watched Law and Order: Special Victims Unit. But the latter’s remarkable tally of 21 seasons tops the reader’s list as “the longest-running live-action show in history” according to statistics provided by the authoritative Entertainment Insider. The list embraces TV’s lengthiest screen-spans, ranging from a succession of eight series reached by the likes of Desperate Housewives, Barnaby Jones and Diagnosis Murder, to Law and Order’s unbeaten total of 21 series. Next from the top comes Gunsmoke which has so far clocked up 20 seasons. As Roamer perused the categories it became abundantly clear that the list was rife with rampant nostalgia! Set in the 1860s, Rawhide was the black and white TV cowboy-drama based on the always-exciting experiences of some of America’s cattle-drovers. Running for eight seasons between 1959 and 1965, Gil Favor played by Eric Fleming was trail-leader on the cattle drive, assisted by Rowdy Yates, played by a young and handsome Clint Eastwood. One of the first episodes in 1959 entitled ‘Incident of the Tumbleweed Wagon’ told the terrifying tale of a prison-wagon marshal and his deputy who were delivering seven dangerous prisoners for trial when they were ruthlessly attacked by outlaws. Gil Favor and Rowdy Yates volunteered to finish the delivery with the outlaws still in pursuit. In the early episodes of Rawhide Rowdy was always impetuous and Favor, a savvy and strong leader, had to keep a tight rein on him. 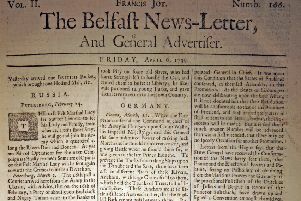 News Letter readers with good memories will recall other characters in the series – the scout Pete Nolan; the cantankerous cook, George Washington Wishbone with his assistant Harkness ‘Mushy’ Mushgrove and cattle drovers Jim Quince and Joe Scarlet. Also boasting eight series, and in a not dissimilar vein, was Wagon Train starring Ward Bond in the earlier programmes as the wagon master Major Seth Adams and Robert Horton as scout Flint McCullough. Running from 1957 to 1965 and a big hit on both sides of the Atlantic, it was a succession of exciting journeys by a wagon train leaving post-Civil War Missouri on its way to California through the desolate plains and the Rocky Mountains. Ronald Reagan, in one of his final acting roles prior to entering politics, played Captain Paul Winters in the seventh-season episode ‘The Fort Pierce Story’ in 1963. Dallas and Knots Landing totalled 14 seasons each, CSI, ER and Grey’s Anatomy lasted for 15, but surely it’s Lassie with 18 seasons under its collar that will bring back the greatest and warmest memories to many of us. The ongoing saga of the Martin family and their beloved collie began in 1943 in the film Lassie Come Home with a dog called Pal playing Lassie. Pal’s owner and trainer Rudd Weatherwax appeared with Pal at rodeos, fairs and public events all across America till the early 1950s and Pal’s descendants have featured on radio, in television, films, toys, comic books, animated series and novels. The original Lassie is thought to have come from British-writer Elizabeth Gaskell’s short story The Half-Brothers in 1859 where Lassie was introduced as a female collie with “intelligent, apprehensive eyes”. Another theory is that the original Lassie was a rough-haired crossbreed who saved the life of a sailor during the First World War. Author Eric Knight put Lassie into a magazine story published on December 17, 1938 in The Saturday Evening Post, a story which he later expanded into a novel published in 1940 which had great critical and commercial success. In Gaskell’s narrative Lassie rescues two half-brothers who are lost and dying in the snow. When the younger brother can no longer carry on, elder brother Gregory, Lassie’s master, ties a handkerchief around his dog’s neck and sends her home. Once home Lassie leads a search party to find the boys, which they do, but Gregory is dead and his younger half-brother is saved. The ‘Lassie saves the day’ theme became the essence of most of the subsequent Lassie stories though as the programmes and films evolved, so did the names of the main roles, except Lassie’s! The first Lassie TV programme came in 1954 and the series lasted for 18 seasons, through 591 episodes until 1974.